Welcome, I an Amateur Photographer of Bands, BMX, Horror and Events. I also like to make DYI projects in Electronics. 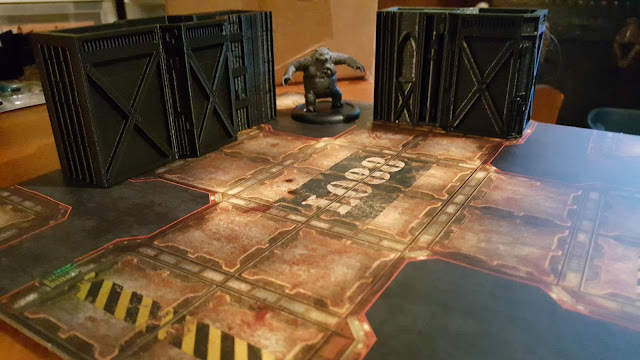 I am a gamer that likes to play Necromunda from Games Workshop, Malifaux from Wyrd Games and Age of Sigmar. I am also an Application Engineer developing websites in .Net, and Developing games in Unity. Necromunda I printed these in Black PLA, I cant wait to see how they will take paint. Welcome to part 2 of using Arduino IoT Device with Azure IoT Edge. You should have installed all the prerequisites from the part 1 post (my last one). The information is almost a direct lift from Microsoft as this is their suggested setup. I have no intellectual property right to this information provided. If you get stuck you can contact me. Confirm you can successfully "ping mygateway.local"
make sure it returns the result "SUCCESS"
If the Test-CACertsprequisites call fails, it means that the local machine already contains Azure IoT test certs (possibly from a previously deployment. In the azure portal, navigate back to your IoT Hub and click on "Certificates" on the left-nav and click "+Add". Command in Powershell. This will generate the gateway specific certs (MyGateway.*). When prompted to enter a password during the signing process, just enter "1234". Now that we have all the pieces in place, we are ready to start up our IoT Edge device. We will start it by specifying the IoT Edge Device connection string capture above, as well as specifying the certificates we generated to allow downstream devices to establish valid TLS sessions with our Edge gateway. To setup and configure our IoT Edge device, run the following command (if you used '1234' for the password above, enter it again here when prompted). Make sure that Docker is running. Note that you may see an error in the edgeAgent logs about having an 'empty configuration'. That's fine, because we haven't set a configuration yet! Today Starts my journey on the IoT using first the Arduino and then using the Raspberry Pi. I am starting out real simple and then will build on what I know. I am starting with an Arduino UNO r3 board and a DHT11 Digital Temperature Humidity Sensor Module. The plan is to add on a Giger Counter to measure if any radio active particles are in the air. The data produced will be sent to a Microsoft Azure Edge Hub to be processed. Some of the information I am providing was received from a Free Microsoft class I took on IOT Edge. If you ever get a chance to attend some of the free classes at your local Microsoft I highly suggest it.